Planning courses by asking ourselves what we want students to know and know how to do by the end of our classes helps us create courses that include reading, assignments, and exams that help students meet those goals. However, even though we often begin course planning with learning goals in mind, we sometimes do not share those goals with our students. Research on learning suggests that students learn more if we let them know at the beginning where they will end up. Such knowledge allows them to create a kind of roadmap, drawing the connections between the major places in the course, and identifying purposes for what faculty ask them to do and think about. This page provides faculty with information on articulating and assessing course goals. Note that, effective January 1, 2007, faculty will be able to enter course goals on their Individual Course Descriptions (ICDs) so students can review them before registering for classes. Access ICDs through MyUW-Teaching-Teaching Logistics. Begin with content: What do I want students in this course to know when it’s over? What information do I want it to convey? How does that information “naturally” divide into sections? Where are the most difficult concepts in the course? (See Pace, D. & Middendorf, J., eds. (2004). Decoding the disciplines: Helping students learn disciplinary ways of thinking. San Francisco: Jossey-Bass. for a complete process that begins with this question). Think about the discipline in which the content is situated: What do I want students to know how to do when the course is over? What are the key disciplinary concepts for this course and how are they connected? How does the class convey the methodology of my discipline to students? What skills matter in this field? Where does this class fall in the curriculum? How does relate to courses that come before and after it? Make your goals specific, conveying expectations for this particular class, rather than generic expectations that give students little information. Identify the teaching strategies that will help students meet goals and let you know if they have met them? What teaching methods fit each goal best? How can I use the skills I want to develop to help students learn content? How can I increase student engagement? Assessing whether students have met the learning goals for the class should be built-into the course. Written assignments, homework, class discussion, group projects, opportunities for student self-assessment, quizzes, exams, end-of-course portfolios, and other normal parts of most courses can provide information to faculty members about student learning, as the shown on this chart (109K pdf*). For more information about classroom-based assessment, see, Angelo, T. A. & Cross, K. P. (1993). Classroom assessment techniques: A handbook for college teachers. San Francisco: Jossey-Bass. The examples that follow are of course-based learning goals taken from syllabi posted to the UW website. I have two broad learning goals for this course. The first is to focus critical attention on the ways in which Southern nations are represented and on how the current development crisis in the region is understood in North America. The second goal is for students to learn a political-economy analysis of Latin American development, which provides a set of tools for rethinking dominant narratives about Latin American development. To give you a basic understanding of learning theory. An understanding of learning theory will benefit you in many areas of psychology. To give you practice writing. You will be asked to write an APA formatted paper. You will interpret y our data in relation to your hypothesis and summarize it so others can understand it. Being able to make others understand your ideas is one of the most important goals in science and in almost every job. You will also give an oral presentation: it is important to be able to express yourself orally as well as in writing. Visit our Links section for more samples of UW Course Goals. 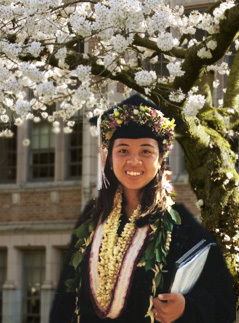 ©2006, University of Washington, Seattle. All rights reserved. A unit within Undergraduate Academic Affairs.